Avoid dealing with large manufacturers directly. Toll-free claims telephone number for service. 24/7 Access on Claims. All covered repairs parts and labor is paid for by your policy. Repair or Replace Promise: If it cannot be repaired, it will be replaced. No deductibles or hidden charges: All repairs covered include 100% of parts and labor. Projector plans may be purchased up to nine (9) months from date of original purchase. Four (4) years from date of manufacturer warranty expiration. Five (5) years from date of manufacturer warranty expiration. * The Projector People Extended Warranty plans are for carry-in (on foot or by insured carrier) service only on projectors used in home theater environments. 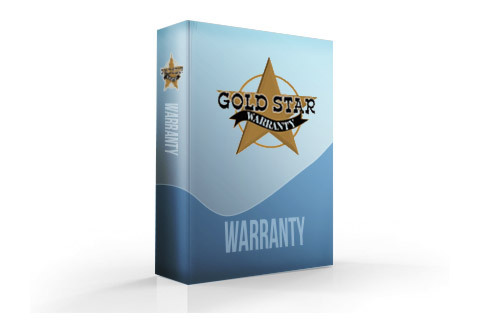 The Projector People Extended Warranty plans is administered by Gold Star, one of the strongest administrators in the service contract field. It is the extended coverage choice for some of the most respected names in electronics.